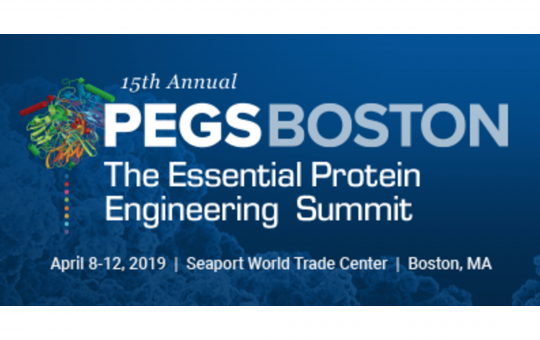 PEGS Boston 2019 – Proteos Booth # 640 – April 8-12th | Proteos, Inc.
PEGS Boston 2019 will take place April 8-12th at the Seaport World Trade Center in Boston, MA. The summit will host more than 400 lectures, panels, tutorials and round-table discussions, along with 150+ exhibitors, and 300 research posters on display in the exhibit hall. The speaker lineup includes world-renowned experts, visionaries, and influencers from top pharma, biotech, academic, and government institutions.